Unique overnight accommodations? 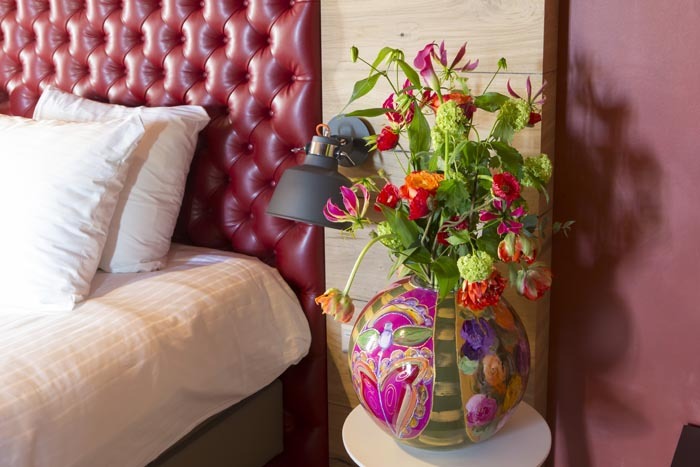 Look no further than the Stadshotel Woerden. Unique overnight accommodations? 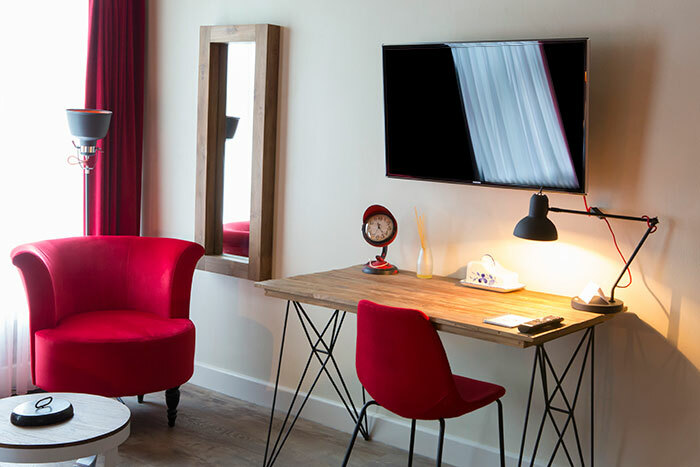 Look no further than the Stadshotel Woerden. Looking for a place that pampers you with personal attention and exceptional service? 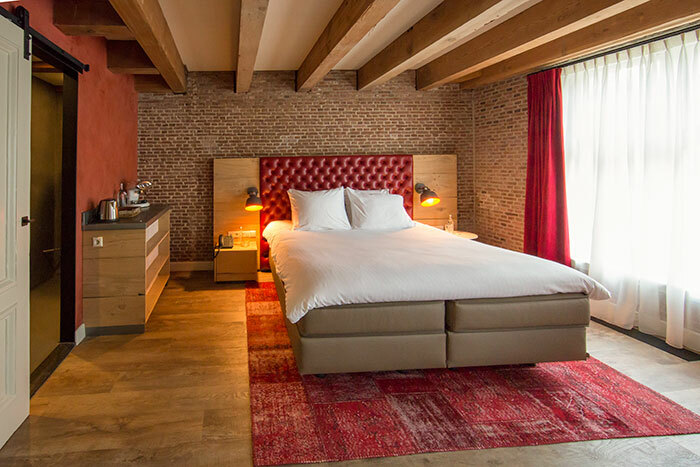 The Stadshotel Woerden guarantees a unique overnight accommodation, culinary treats and traditional regional products in our own tasting room and shop. We provide you with a place to sleep, eat, experience and sample the good life, enjoying it all in an attractive and original environment. The charming town of Woerden is located along the Oude Rijn River. In the heart of the town’s medieval centre is the Arsenaal building (Arsenal) from 1762. 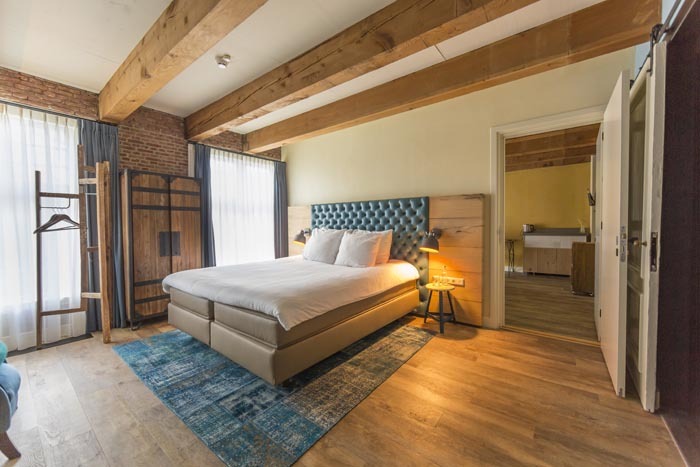 This visually prominent national monument has been carefully restored and lovingly converted into a fabulous accommodation where you can sleep, eat and enjoy life to the fullest. Experience unique overnight accommodations in our stylish suites. Hostess Wieteke Breuren designed the 25 suites, each with its own unique character, furnished in blue, ochre yellow or red, and named after members of the Van Rossum family. Dream away the hours in the luxury of our spacious and stylish Deluxe Suites, equipped with all modern comforts. A number of the suites can be connected, offering a practical solution to families with young children. 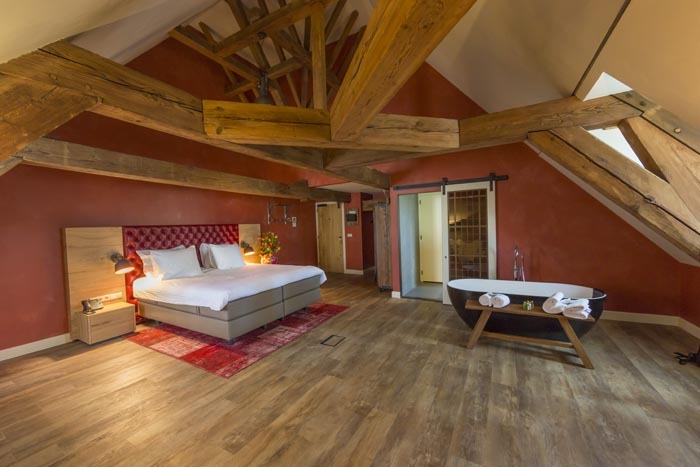 Our split-level rooms have a mezzanine, enhancing the intimate ambiance. Or spend the night in the Van Rossum Suite and experience one of the most unique overnight accommodations of your life. 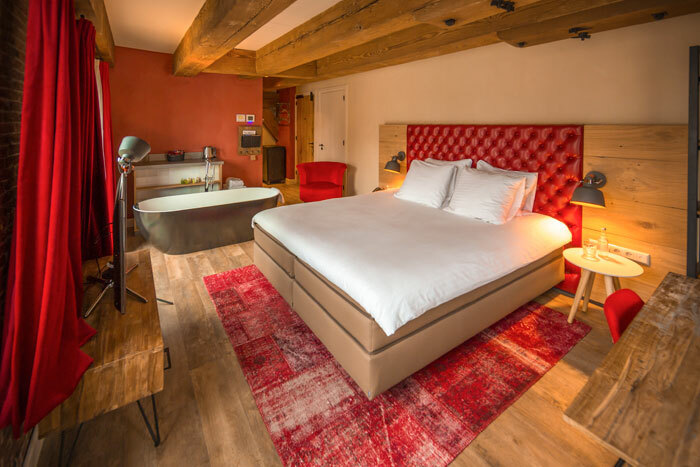 In a nutshell, the Stadshotel Woerden in the Green Heart of Holland is a unique boutique hotel where a traditional Dutch setting under rustic oak beams is woven together seamlessly with stylish, contemporary comfort and warm hospitality. 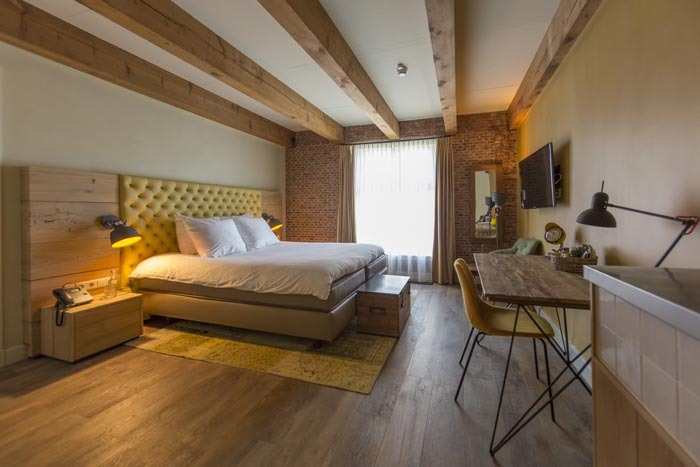 Ideally located only 30 minutes from Amsterdam, Rotterdam and Utrecht and only 35 minutes from The Hague, Schiphol Amsterdam Airport and Rotterdam-The Hague Airport.